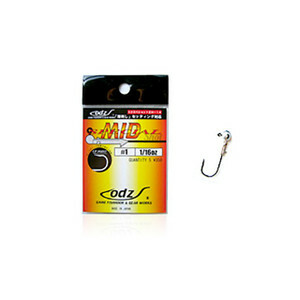 Midstrow ring (Midst) exclusive jig head Midst tracing a certain range by manipulating the line with exquisite line tension. Hanging emphasis" necessary for this midst， "The worm is not shifted， it does not deform"， "It is easy to thinly stick" "The patter and the rolling action firmly communicated to the worm" realized by the up point and the square shank keeper. * The image of the product you are posting is displaying the representative image. Moreover， the color may look different from the real one. Please be forewarned."